We know this is very short notice and a ridiculous and possibly impossible request, but everyone on this forum is so helpful, we thought why not ask. If anyone might be available in the Blanchard area this evening my brother in law expects be arriving about 6:PM. Of course, when we added this stop to his planned trip we didn’t realize it would be on Saturday. So city hall would not be available. 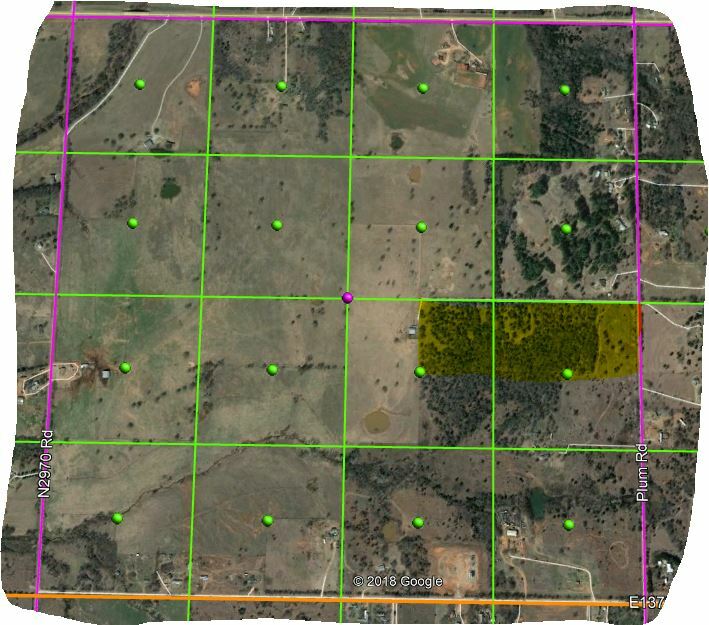 His purpose is to get a gps location of the property where our rights are located. We are trying to understand just where our rights are especially relative to the well(s). At 91 memory not working so well and the various maps we have obtained are confusing to combine. One has 3 Blanchards and not topical enough to find land marks we remember and such. Tried google earth but nothing is familiar. We are section 35 township 7N range 5W. Probably too much info but less is not always more. If you go onto the OCC well records site, you can find the public data on the well. Type in 3507N05W in the legal location box. Form 1000 has the permit to drill, Form 1001A is the spud, The Survey has the Lat and Longitude you are looking for on the first page. Remember that is only the surface location. (note that they spelled the well as “Rimmer”). Form 1002A is the completion report http://imaging.occeweb.com/imaging/OGWellRecords.aspx Here is a general Grady map with the S-T-R for placement. Read the locations from right to left and it is easier to find them. If you need me to draw if for you , I can. This well was spud in the lower SE corner of section 35 and goes north into 26. 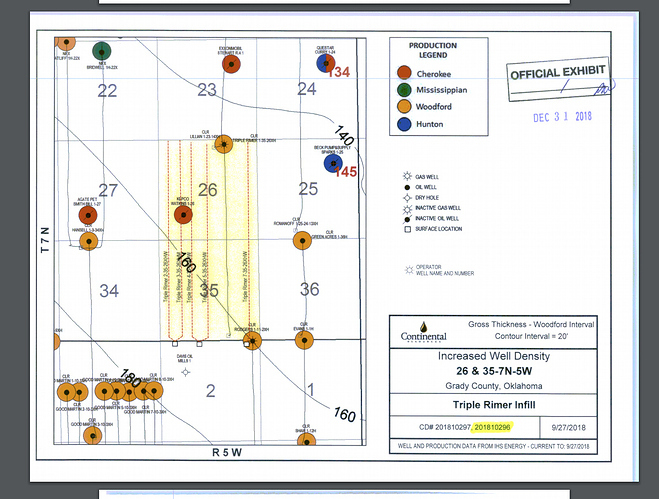 The other horizontal wells in the section were spud in section 2-6N-5W and go through 35 and north into 26. The exhibits from the increased density hearings will probably have some nice maps. Do you need them? Thank You, Thank You, Thank You. We will follow you links momentarily. We thought we were posting in Grady County. We can’t figure out how to move the post. Moved it over there for you. Next time when you hit New Topic, scroll all the way down the Categories on the left until you get to Oklahoma and then Grady. 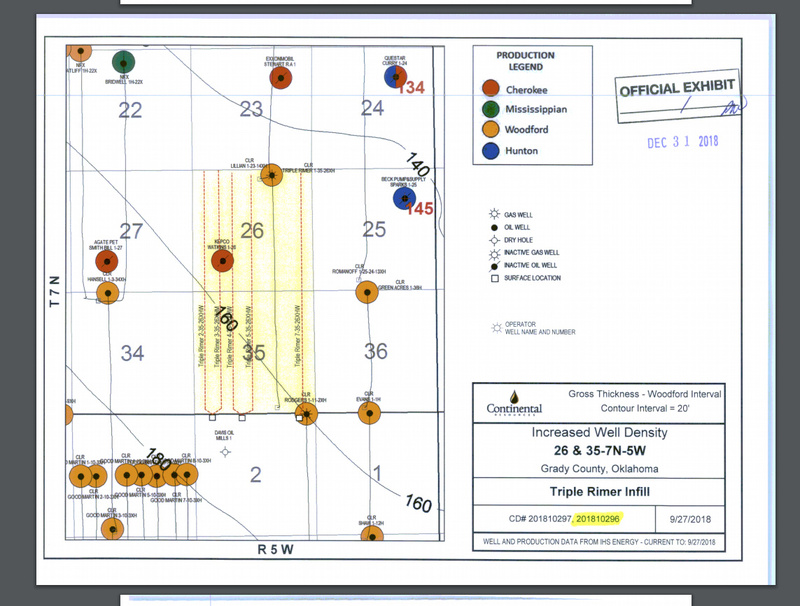 Even though your rights are in the SE corner of Section 35, you have rights to all the horizontal wells in the section because the spacing was for 640 acres. 1280 in the actual area of the wells. In case you dont make it there is a street view from as best I can tell! 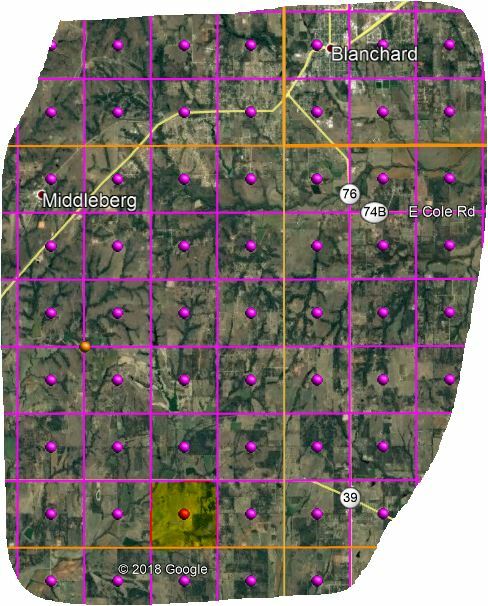 Section 35-7N-5W is highlighted… wells are 1 mile south of hwy. 39. I can’t access this site which shows pictures on my phone;even though, I can see the picture. Would you please get a picture of 2103N08W; originally belonged to my Grandmother. Thanks so much to all of you. We got al the docs Martha suggested, the pictures are great. We were looking in the wrong area, your directions got us to more familiar regions. He’s going by today to see what he can. Frankly, only go to satisfy your curiosity. Looking at a well site won’t tell you anything about your rights. However, if you do visit. Be sure to stop at JW Grill for onion burgers. It is located in Chickasha about one block west of the courthouse. Oh, I don’t know. My grandfather used to regularly read the chart recorders on flow on his wells to double check production figures on his checks. (They are digital now AFAIK.) I went out once to one the same wells I inherited a couple of years ago to verify it was in production after it had been shut in just about the maximum time in the lease, then sold, then reported to be back in production just under the wire. It was. The purpose was to clarify my 91 year old brain’s memory of which farm my mother inherited. Brain was working well, from Blanchard toward, Chickasha veer easterly toward line of trees along creek. Not bad for an old man who hasn’t been on the farm in 82 years. Not sure where my in-laws ate, but they thought it was great. I am having the mud spread on my place and the well is referred to as Triple Rimer! It’s in section 2 across the road from section 35! There are 2 more across the road south from section 36 in section 1. One is being drilled the other a pad is being prepared! FYI My place in Sec 11 7N 7W had mud spread on it. The truck left ruts nearly a foot deep in a virgin pasture that we use for cutting hay. We cannot drive over it across the ruts they are so bad. You cannot see the rutsas they are still covered with grass. They lso spread the mud so thick on the native grass in another pasture that is has killed the grass. It looked and smelled like an asphalt parking lot. I urge you to pay close attention to what these idiots are doing. Maybe you have a professional company. The one that spread my disaster was Sopiltec… It is going to cost over $20K to repair what they did. The virgin pastuer will never be the same. Hopefully, you have a good surface lease with remediation clause in it.